The film’s structure unspools as a long trawl through warehouses overflowing with newsreels, unprocessed negatives and forgotten films. Bullet holes in the walls cast thin beams of light across the dusty film cans. Some of them are unsalvageable, their celluloid chemicals have long since bled into the ground, but director Pietra Brettkelly makes good use of the resulting twisted, abstracted images (part of the film’s pleasure lies in Jacob Bryant’s graceful cinematography, which combines these interstitial montages with skilled handheld camerawork that invites a low-budget cinematic intimacy). Every day yields new discoveries, which we see thrown onto a wall, a projector ticking away behind us and the faces of Arify and his team full of wonder and pain. US President John F Kennedy visits the Shah in the 1960s. The mountains of Helmand, a distant province now run by the Taliban, hover across the wall. We see the Palace of Forty Columns, surrounded by flowering trees, now destroyed. We see Kabul in all its seasons; King Shah’s wife and family diving into a pool of shimmering blue; President Daoud in 1973 flanked by terrifying rows of marching soldiers. We see dramas of lost love beginning with the archive’s oldest film Love and Friendship (1946) and House of History (1992), in which Kabul appears like a black-and-white war-stricken dystopia. And we see an abundance of army footage: soldiers dropping out of planes in parachutes and tanks rolling across Kabul in 1978 for the Saur Revolution. Among the unedited negatives, Arify finds one labelled “The Execution of President Dr Najib” from 1996. “This is a critical piece of evidence,” he says, motioning to the flickering image on the wall. “Should anyone question who killed President Najib, we can show them the Taliban did it.” All of it was captured by the cameras of Afghan Films. A picture begins to build: a fragmented chronology of an almost-nation, in which history is savagely, daily contested. In the West, nostalgia is ever-present in popular culture, in the ironic forms of cassette-shaped iPhone cases, Jurassic Park T-shirts and cafes with menus devoted to childhood cereals. With its visions of grand, long-destroyed cities and almost-lost romances, A Flickering Truth trades in an altogether different kind of nostalgia. Each clip of archival footage shows not just a relic of Afghanistan’s lost history, but a snapshot of its many, potential lost futures. The film is eulogistic in tone (aided very much by Benjamin Wallfisch’s floating score), while reaching for optimism. 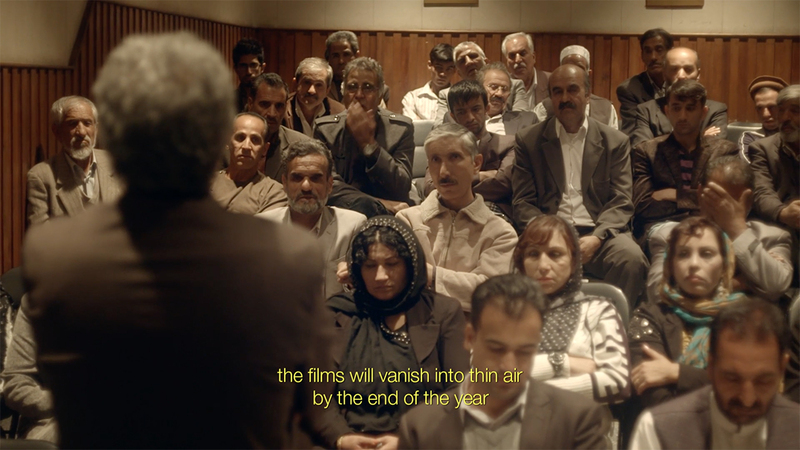 As Ibrahim Arify’s efforts culminate in a film festival, named We are who we are not, and a mobile cinema touring to rural schools (avoiding Taliban-controlled provinces), the film lands on images of children watching the rescued material, thereby projecting hope for social cohesion at last. 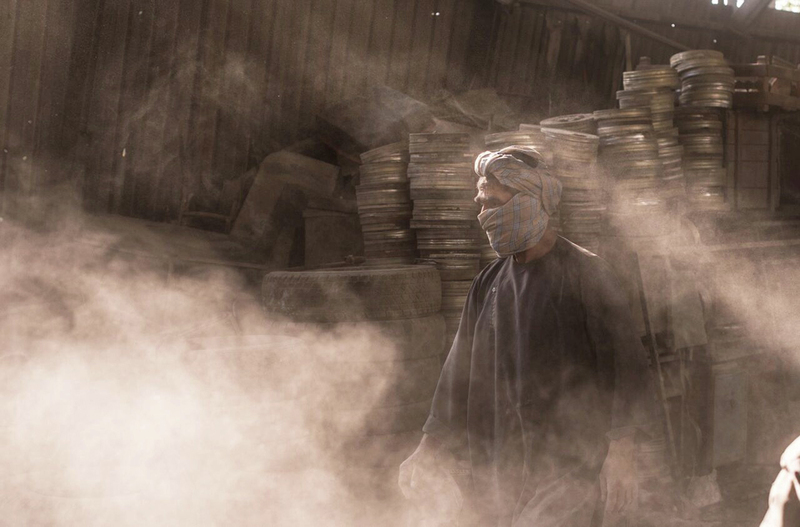 The memory and threat of violence remains vivid — one former actress recalls shooting a film with the very real fear that “music, cinema, culture would cease to exist” in Afghanistan. But A Flickering Truth connects the archive to a much broader project: cinema as inextricable from history and from hope itself.